I received a Philips Zoom teeth whitening, and it’s changed my teeth completely, excellent service and brilliant attitude throughout my short stay, if you think your smile needs a whole new whiter look then go to these guys you won’t be disappointed !!!! Dr David Guppy is an amazing surgeon. Been a patient for 16 years now. He has saved so many of my teeth that other surgeons wanted to extract, says it all. I’ve had implants, root canals, crowns and cosmetic procedures done, I can eat properly again and don’t have to look downwards anymore when smiling. I used to be a very nervous patient, not anymore. Brilliant service from Helen and team. No wonder to me they are a multi award winning dental practice. I had a consultation with a really kind and friendly orthodontist at this practice, Dr Cross, I was a little nervous about talking about my aesthetic concerns, however he put me at ease straight away and gave honest, sensible advice. I have always been a nervous patient, but Dr Cross puts me at ease and is very talented. Definitely recommend: at first I was concerned it was a lot of money to pay, but once I realized the level of support I would be given throughout the treatment it seemed really good value for money: especially since the result was so good. Two words you don’t often see in the same sentence!As healthcare providers we all have a role to play in tackling the biggest threat to global health in the 21st Century: Climate Change. The healthcare sector is the largest carbon emitter in the UK with the NHS contributing to approximately 4.5% of the UK’s carbon emissions. We are compelled by overwhelming evidence to make changes in our daily lives to limit the impact each one ofus has on the environment around us. Obvious examples like re- cycling, limiting air travel and transition to battery powered vehicles have become mainstream in our attempts to minimise our carbon footprint. Our efforts may prove to be futile as industrialisation in developing countries will overpower ourefforts but it does feel worthy at least to consider how we can modify our behaviour. There are35,000 dental practitioners in the UK and I would suggest that most of them have a negative impact on the environment. We consume electricity to power lighting, compressors, sterilising autoclaves and countless other devices which we simply can’t do without.Cross infection control of the highest standards require disposal of plastics on a massive scale. Once again it is completely unacceptable to abandon this or chemical disinfection of surfaces. In order to be effective these chemicals are pretty nasty substances. Even impression material and plaster models require specialist disposal. When you really start analysing it dentistry is an environmental disaster! Clean those choppers and avoid sweets,fizzy drinks …….. Yes you’ve heard it all before but avoiding dental treatment is good for you and the planet. We are taking the next step in the digital age and digitising all our impressions apart from alginate (seaweed). So no more gloop and gagging and a much more comfortable experience for the patient. So what does this do for environment? No transportation, push the button and the digital impression can be in Los Angeles, Beijing or Bognor Regis. Crowns, dentures, and just about anything else can be printed. Orthodontics and cosmetic dentistry have now entered the digital age.The quality of outcome is amazing ! Okay so the digital production line is not carbon neutral but it is getting there and so are we! If you would like any further information please feel free to call The Mayhill Dental Centre on 01600 712020 or email info@themayhill.co.uk. 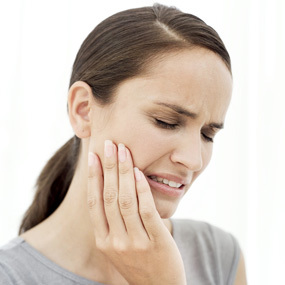 Jaw pain is often associated with throbbing, uncomfortable pain. It can come on suddenly or it can start off mild and become more intense over time. The symptoms will depend on the root cause and here are few to look out for. This is a common problem that most people are not aware of as it usually takes place during sleep. This involves tightly clenching and moving your jaw which grinds the teeth. Causes include stress or anxiety or even side effects of medication. 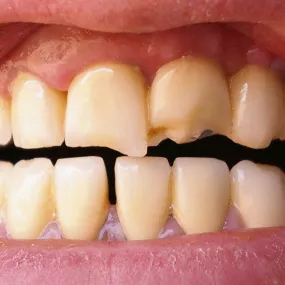 Wearing a mouth guard at night specially designed for night time grinding can help alleviate symptoms.65% of people who are convinced they do not grind their teeth actually grind regularly but are unaware of it. This condition is often known as TMJ and affects the temporomandibular joint of the jaw. This is often associated with restricted jaw movement. Other symptoms include tenderness in the jaw, face, ear or even the neck and shoulders as well as a clicking sound when opening the mouth or chewing. In severe cases, the disorder can even cause the jaw to become permanently stuck in an open or closed position. Wisdom teeth typically erupt between the ages of 17 and 25 and can cause trouble in the jaw, especially if they are impacted. Wisdom teeth can become infected and cause acute swelling and pain. Tooth decay can cause pain which can radiate into the jaw area, especially if a cavity goes a long time without being filled, an infection can spread into surrounding teeth and jaw causing pain. An abscessed tooth is when the dental pulp or nerve of the tooth has become infected. It usually happens when decay has been left untreated for an extended period. When the bacteria from the infection begins to spread from the root, it can also affect surrounding bone tissue, causing significant jaw pain. Regular dental examinations and treating decay promptly is the best way of avoiding this problem. This is often caused by poor oral health and as it progresses can lead to problems with the tissues and bones that support the teeth. If you are experiencing jaw pain that isn’t going away, and would like some advice please feel free to call The Mayhill Dental Centre on 01600 712020 or email info@themayhill.co.uk. Most of us will be making New Years resolutions. It could be taking up a new hobby, exercising more or eating healthier. What about starting 2019 with a great new smile? Whether it’s altering the shade, position or shape there is a range of treatments now available that can help you achieve this. This can be an effective way of lightening natural teeth. This is a process of oxidation which removes chemical stains and whitens the tooth structure. There are a number of tooth whitening options ranging from home whitening to in surgery such as Zoom Philips or Enlighten. They all involve bespoke whitening trays and achieve a great result. It is also inexpensive to repeat in the future. Recent developments have made braces more discreet and less bulky which is why more and more adults are now having orthodontics. You will be pleased to know there is no age limit for braces. However, your teeth would need to be healthy and suitable for treatment. The main options are fixed or removal appliances. Brackets are now tooth coloured and thin tooth coloured metal wires will gently push your teeth into the right position. These are reliable and almost invisible. Lingual or invisible braces is a traditional metal brace that is fitted on the back of your teeth so they are invisible to the eye. However, treatment can take longer. Removable Aligners commonly known Invisalign is a brace system that uses clear , removable aligners that are taylor made to correct crooked and overcrowded teeth. These aligners are changed every two weeks . The length of treatment will vary depending on the severity of the crowding. A tooth coloured putty can be used to fix chips or reshape teeth. This is then set with ultra violet light. Bonding however, will only last a few years before it needs replacing. These are made from porcelain and are like thin fingernails cemented on the front of teeth. This is more permanent to bonding or whitening. It is a quick way of achieving a perfect smile. However, a thin layer of tooth enamel needs to be removed to bond the veneer. 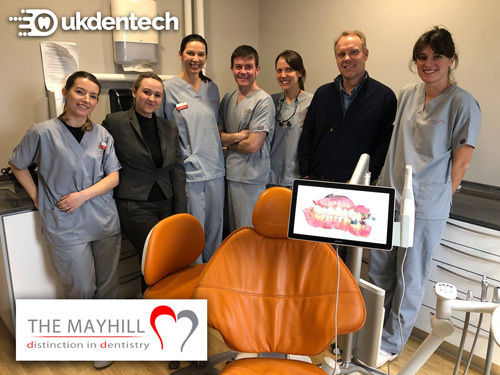 All the above treatments are available at the Mayhill Dental Centre so if you would like to make a change this year and would like further advice please feel free to call the Mayhill Dental and Specialist Centre on 01600 712020 or email info@themayhill.co.uk. Technology has had a huge impact on our daily lives in recent years. What does an all- digital practice mean and how does it impact on your dental care? A digital dental practice that incorporates computer aided design and manufacture.This could include digital x-rays, digital impressions, smile design software and computer guided surgical techniques like guided dental implant placement. It also includes digital patient records and storage. Digital smile design lets us show patients what their new smile will look like after cosmetic, orthodontic or restorative cases. This takes the guess work out of treatment planning and can also reduce the amount of visits to the practice especially in terms of orthodontic treatment. Digital x-rays allows us to detect cavities, cysts and other oral health concerns in the early stages which means patients are less likely to experience advanced dental damage that requires in depth treatments. Three dimensional radiographs are now gold standard in diagnostic terms. Digital files are immediately available for dental labs, specialists and other health providers. There is no longer a need to mail x-rays or bite impressions. 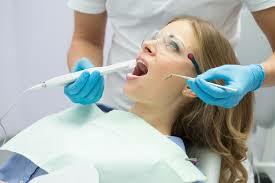 Digital files also make each treatment visit much shorter and can reduce the amount of appointments required. Digital x-rays are instantly available to view at chairside. Digital impressions can be captured by a handheld wand so there is no time wasting and no gagging issue. Traditional impression moulds are subject to slight changes that can occur during handling. 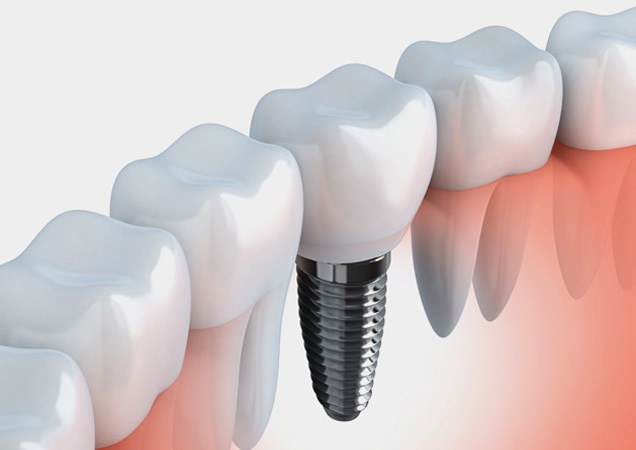 This might lead to slight adjustments being made to bridges, crowns and veneers. Dental putty can be messy and uncomfortable. Digital impressions deliver prosthetics with improved precision, reducing the margin of error. With direct access to the digital impression on the computer screen, the patient will get a much clearer picture of their own care. Scanned impressions can also be easily stored and if a crown is lost or damaged a replacement can be made without the need for a new impression. With a digital record keeping system, a dentist can quickly reference past treatments, pull up x-rays to compare current issues and update information as necessary. There are no large paper files to store and sort through and no lost paperwork. Your information is completely secure and private. Bulimia is an eating disorder that’s described as a destructive pattern of eating and purging (vomiting) to control weight. 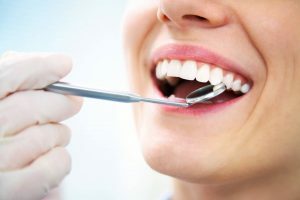 This cycle of constant bingeing and purging not only causes stress on the heart, kidneys and other organs but it can be especially damaging to the teeth. Vomit is toxic because it contains stomach acids. These acids are corrosive and can wear away the enamel that covers and protects your teeth. This in turn leads to tooth decay. Brushing teeth too hard after vomiting can also cause tooth decay. Bingeing on sugary foods and fizzy drinks can also contribute to tooth decay. The colour and texture of the teeth can change as the erosion gets worse. As the enamel erodes, the dentine is exposed which is yellow in colour. Teeth will become more brittle and chip easily. Stomach acid can also wear away the skin of the roof and sides of your mouth and damage your throat. Painful sores can then develop in the mouth and throat which can become infected and swollen. The acids can also irritate the glands on the side of your cheeks which produce saliva. Infected swollen salivary glands will reduce saliva production in the mouth which is what protects your teeth against decay. A lack of saliva production is known as dry mouth which can affect the way you eat by changing the flavour of food. Dry mouth can also be damaging to the teeth as saliva washes away bacteria that causes tooth decay. As the enamel of the teeth wears away it exposes the dentine which is the sensitive inner part of your teeth which can make your teeth hurt. Other symptoms are sensitivity or pain to hot or cold food or drinks.